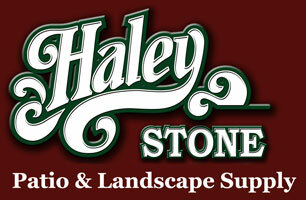 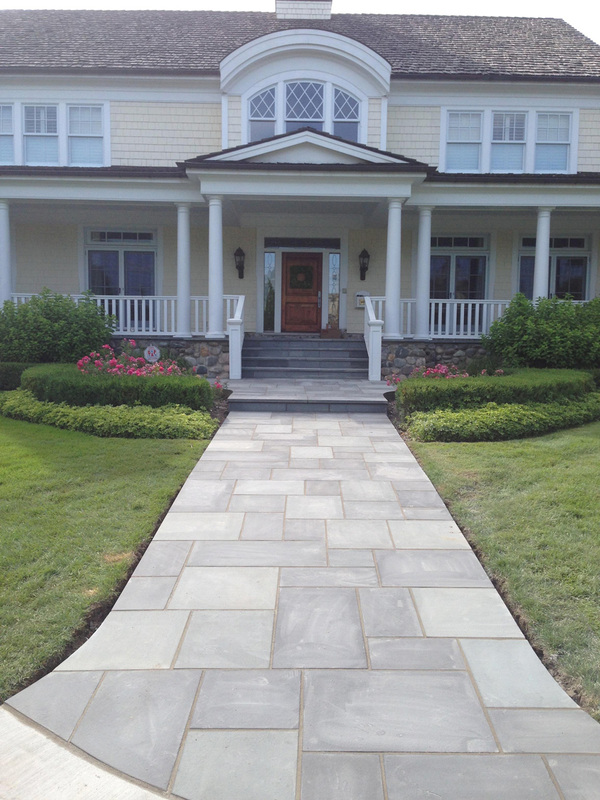 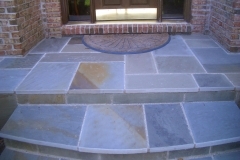 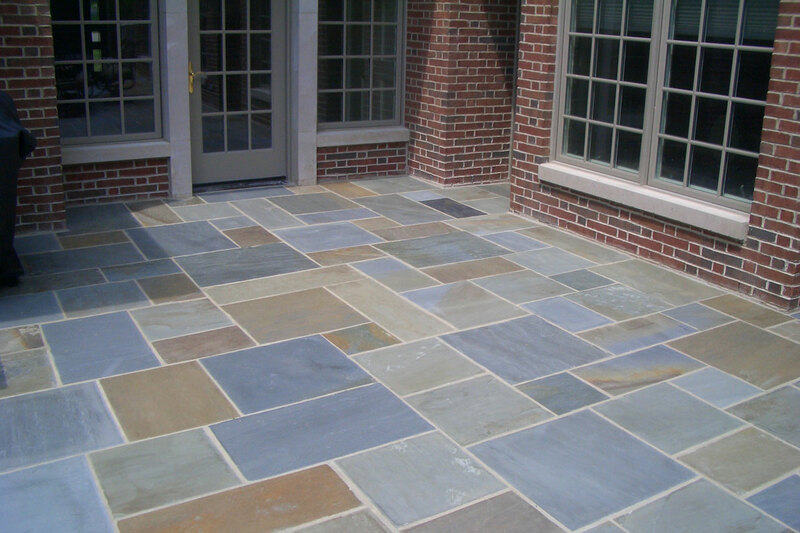 New York Bluestone is a natural stone quarried in strip mines along the eastern United States. 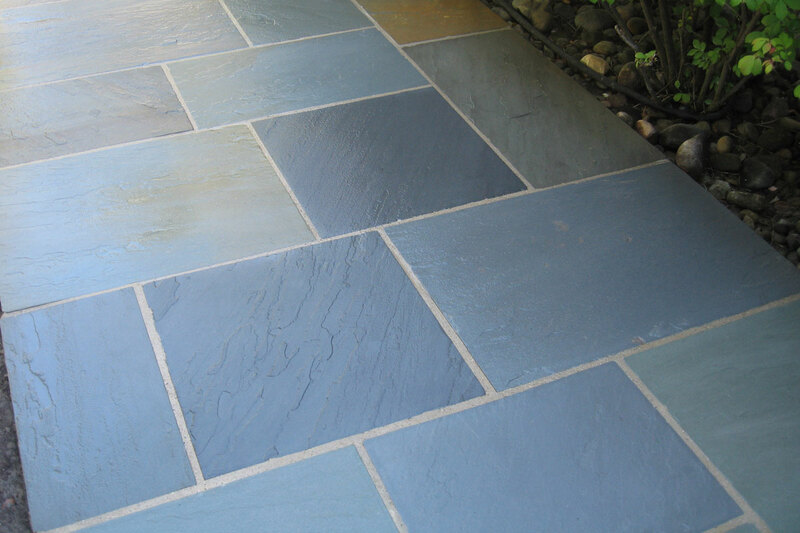 The color and natural cleft surface makes this product very popular. 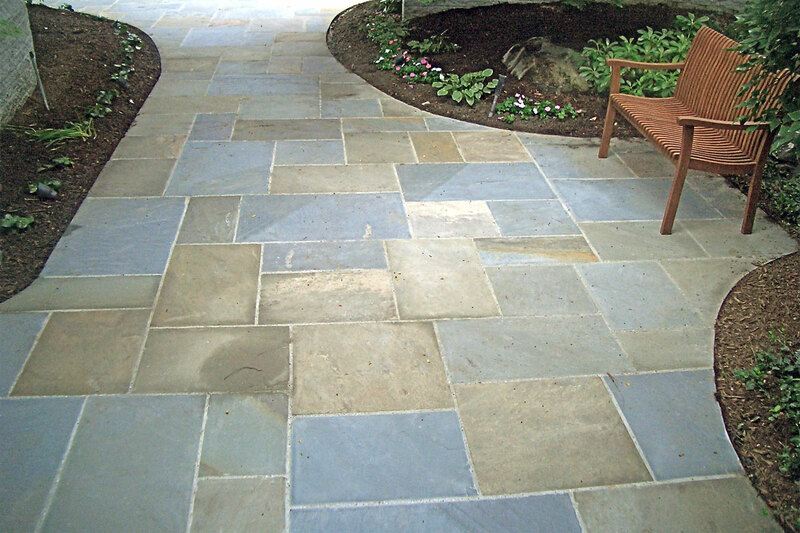 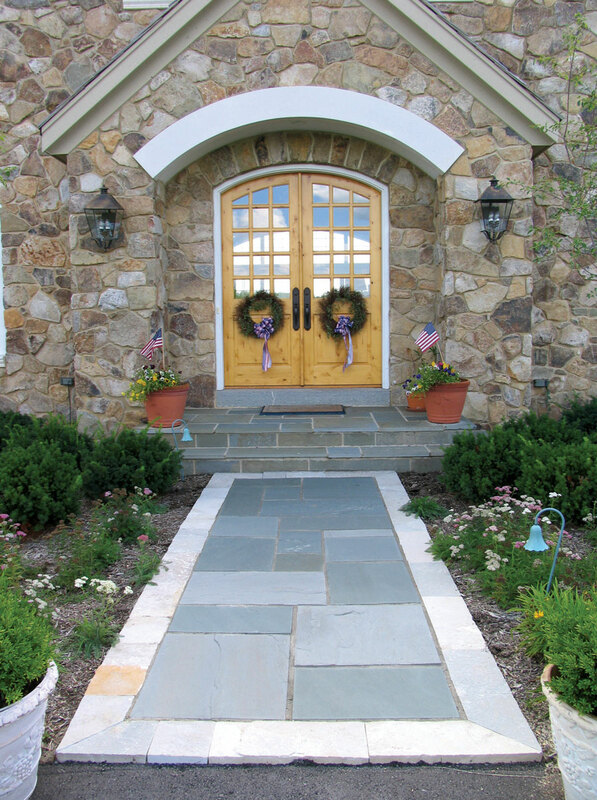 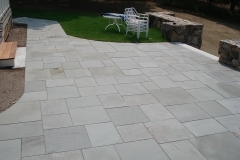 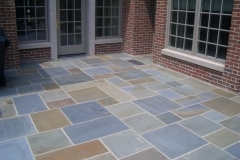 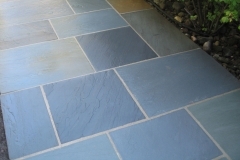 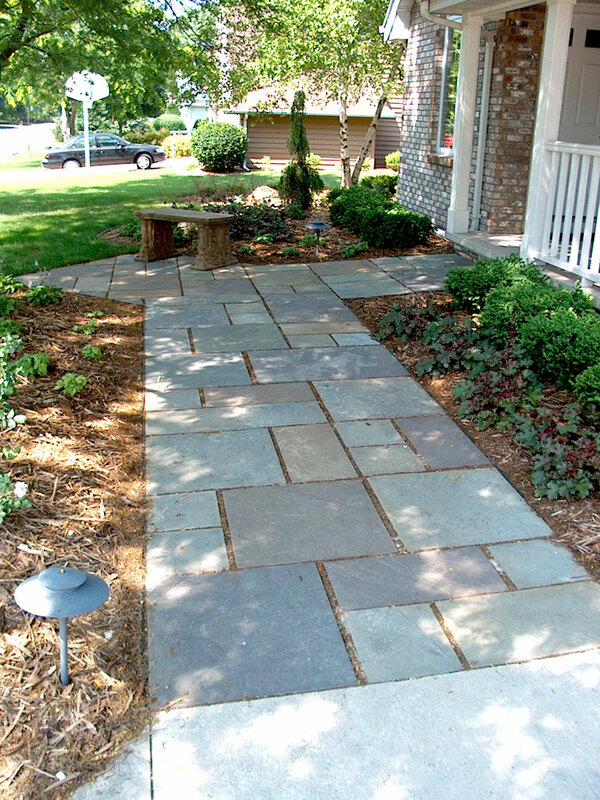 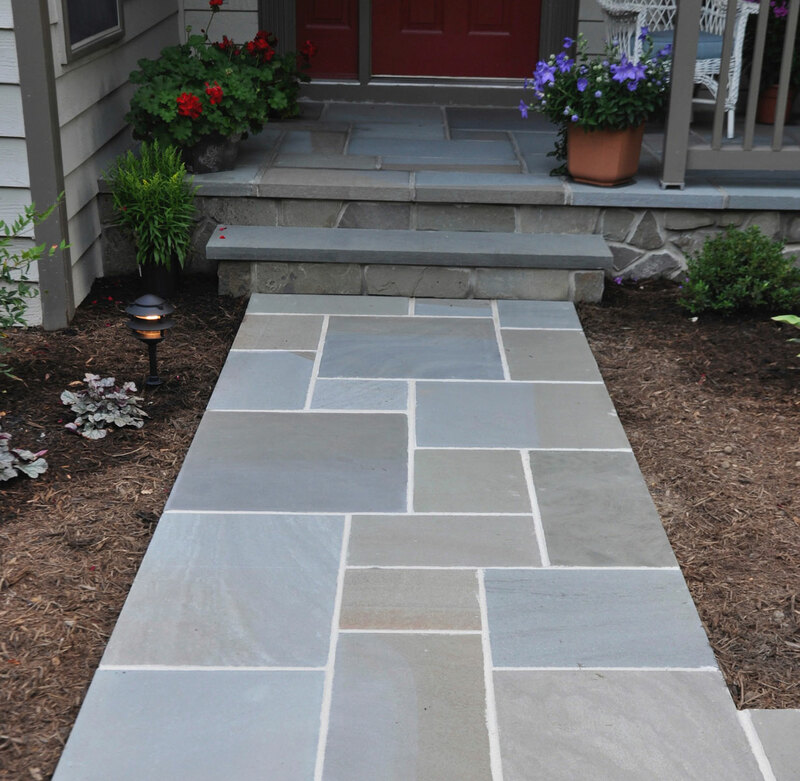 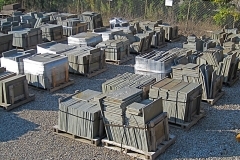 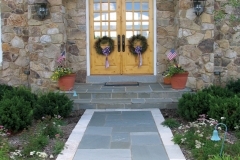 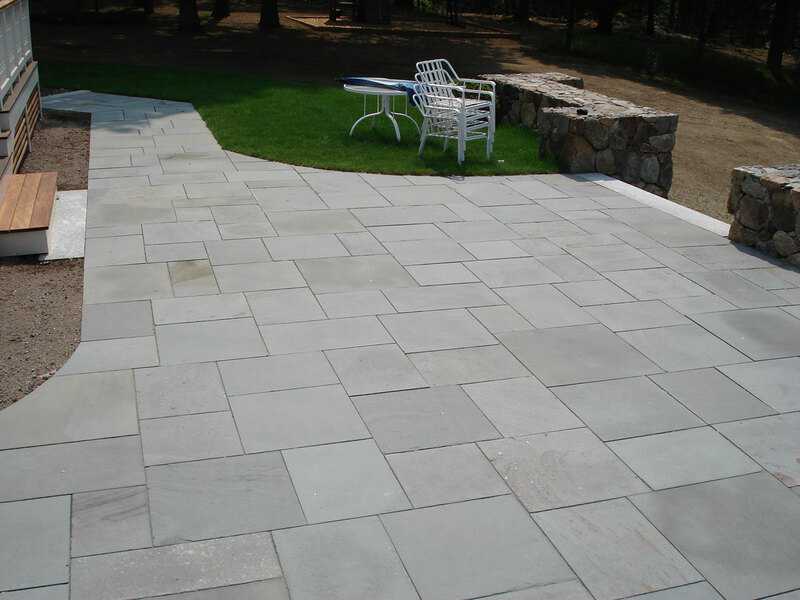 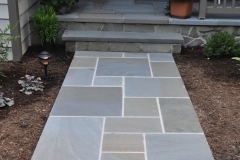 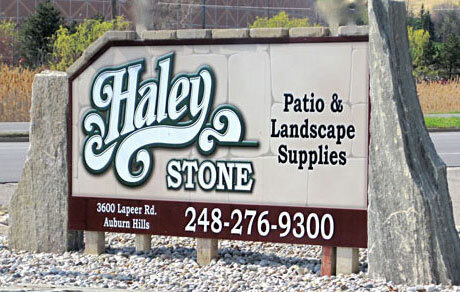 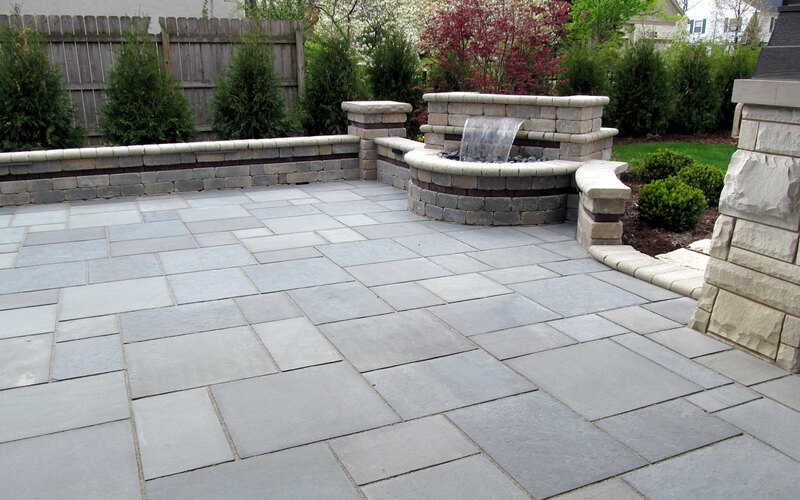 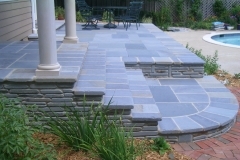 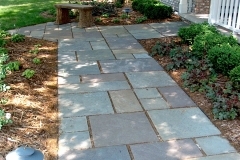 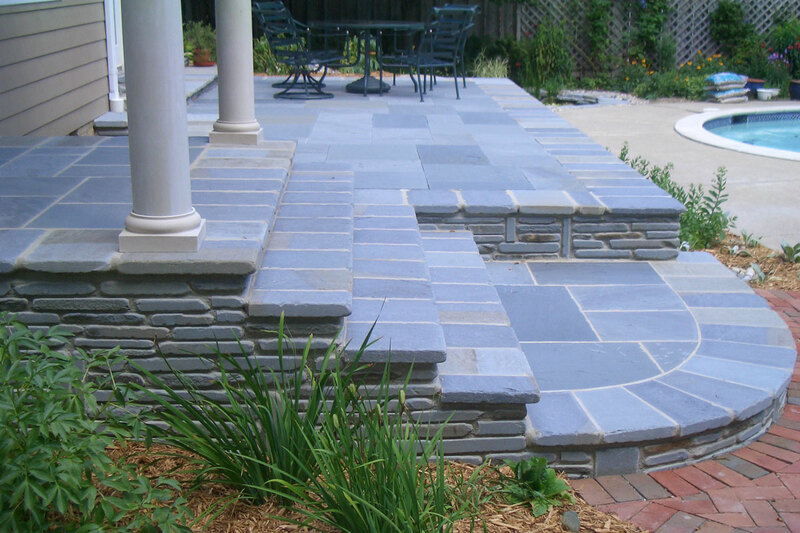 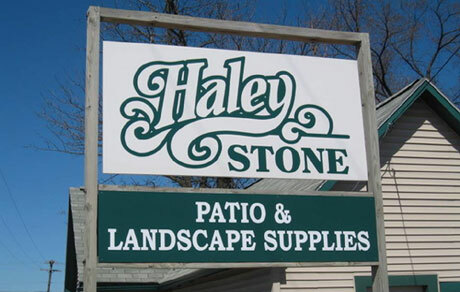 Mainly used for patios and walkways, these cut modular stones are available in “Blue Select” (tones of blue/gray) and “Full Range” (greens, blues, grays and rust). 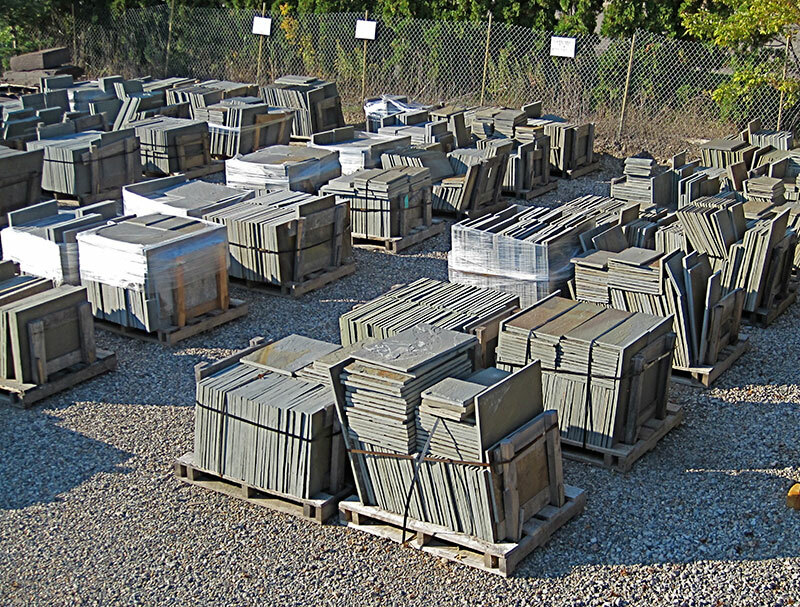 The cut pieces are available in a variety of sizes and sold by the square foot. 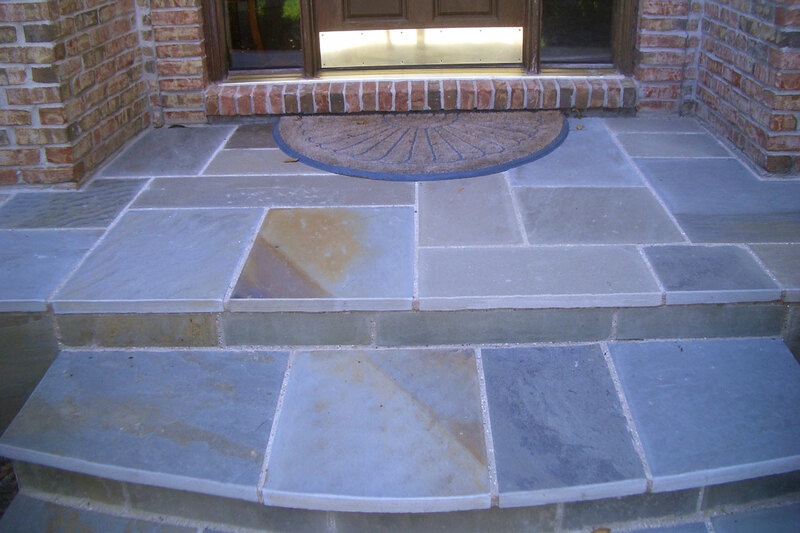 It is also available in random flagstone. 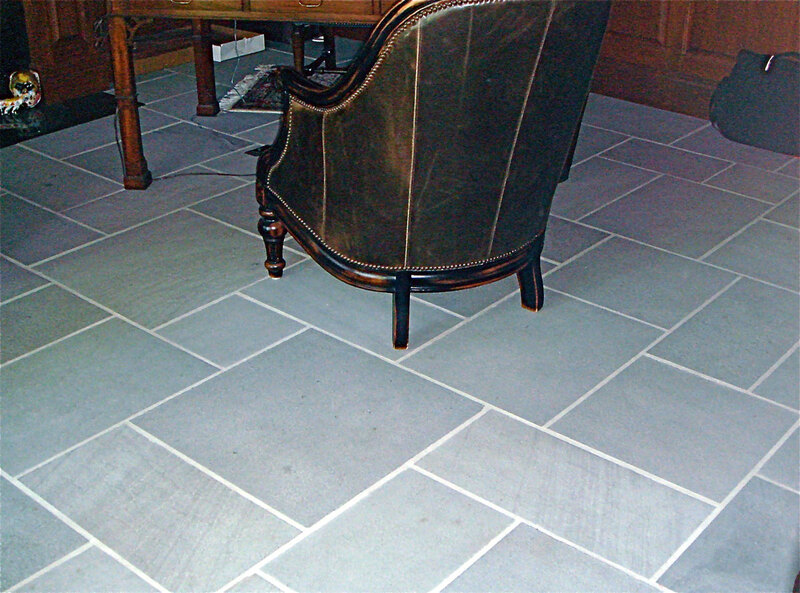 This very versatile stone stands up over time and can also be ordered custom cut for hearths, step treads, pool copings and counter tops.